I have received several inquires as to why I am nicknamed the Duck. Basically I got the name because I was always in hot water. I couldn’t leave the station without getting into some type criminal situation. Whether it was a vehicle or foot pursuit, in progress crime, etc. I was what they call in nice terms a “crap” magnet, and you know what they say about a duck, that and other things just roll off a duck’s back. 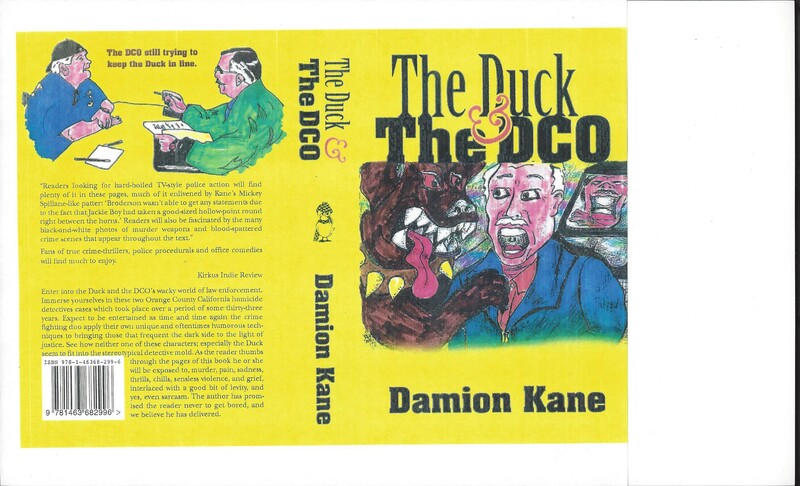 Because of what I was always getting into my partner was nicknamed The DCO (Damage Control Officer) because he had to try and smooth all the feathers I ruffled when dealing with suspects or many times supervisors. Terry put over 40 years on the job, and I put in 33. During that time we worked robbery/homicide for over thirteen years. We were known throughout the county as very unusual homicide detectives. We always got results, but we did it in such a weird way they decided to write a book about us. (See attached photo, book is on Amazon.) We were fairly unconventional, but we had a lot of fun. We have to admit the book has gotten very good reviews. It is a true crime book which profiles a lot of our cases combined with a great deal of cop humor. So if you are into true crime, and curious as to why they decided to chronicle our lives in the cop world, it would probably be a good read. ← Stalking victims who are housed for protection need to have staff trained in the stalking phenomenon.